We have made world predictions for 20 years, and this time we will do something a little different. We have incorporated some futurist and tech trends that we feel will emerge in the near future. As we always say, the future is written in pencil, not etched in stone. We all have the power to change our personal and collective destinies! We said that 2018 would be ‘The Year of Chaos’ and, in retrospect, we can all agree that is was exactly that. 2018 was a year of high drama and explosive socio-political events worldwide. Armed conflicts and natural disasters have taken a staggering toll on human suffering. NEW YEAR… NEW YOU! 2019 PSYCHIC READING SPECIAL! $50 OFF! Book your phone session with Terry and Linda now! 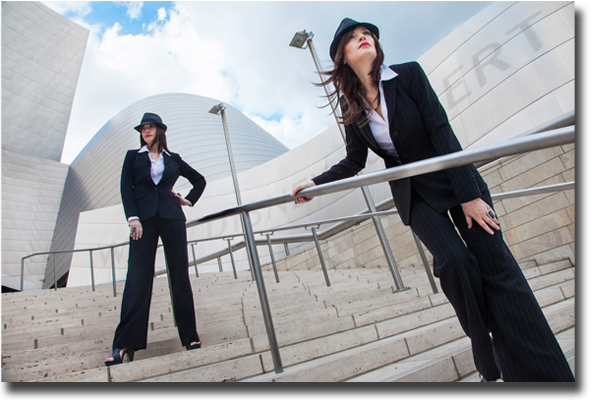 For a limited time only, The Psychic Twins are opening up their list for a private phone session. Email us for information. Although the shockwaves of 2018’s events continue into the new year, people are more ‘woke’ now. A lot of folks were in a kind of botoxed numbness before, a walking sleep state. Many of us took our constitutional rights for granted. We enter this new year as a bitterly divided America. Let’s try to learn whatever lessons we can from the dumpster fire that was 2018 and move forward with a new resolve to change things. On a positive note, we see more people continuing to be engaged at a grassroots level, uniting toward change against social and racial injustice. There will be a large number of Democrats running for President in 2020, including women. We also see more representation of diversity in film and television in 2019. (Crazy Rich Asians and Black Panther killed in the box office in 2018.) TV and film producers will need to feature more inclusion going forward if they want to stay relevant. Hiring and employment will remain strong in the US. We see the new generation (Gen Z) being more motivated to disrupt the status quo than millennials over the next few years. If you thought 2018 was the year of protests, strap yourself in. Scientists around the world are uncovering breakthroughs that will change the way we live, work and interact with others. 2019 and 2020 promise to be exciting years for health breakthroughs. We see ongoing efforts to address high drug costs, but progress will be slow in coming. Opioids epidemic – We see new pain management treatments and therapies for addiction being developed in 2019 and 2020. This will be good news for anyone suffering from chronic, debilitating pain. We see exciting breakthroughs in technology in the treatment of anxiety, depression and brain injury, including laser therapies. HIV cure is getting closer. Major breakthroughs in stopping the spread of HIV, and eradicating the deadly HIV virus will be coming out. We see more efforts in the future to control epidemics and contagious diseases. New vaccines will show promise. We see more ‘super drugs’ being developed to fight growing pandemics. Cancer: Researchers will test vaccines to fight various cancers. We will also see big breakthroughs in treatments for Parkinson’s, Alzheimer’s, transplants, blindness and mental illness. Spinal cord injury / paralysis – Amazing treatments and technology will help paralyzed people walk again. Contact lenses that perform health checkups such as blood sugar or cholesterol levels will be tested for the broader market. The “Bionic Man and Woman” of science fiction is looking more and more possible as we approach the next decade. Gene therapy that can reduce the risk of cardiovascular disease and heart attack could become a reality in the next 4 to 5 years. There needs to be more ethical standards that are agreed on and enforced. It will become more and more controversial. We had predicted in 2017 many lawsuits and scandals would plague Trump throughout his administration, which is happening now. Trump is facing a turbulent time: legislation regarding voting rights, minimum wage and equal pay. The Democratic Congress will send him bills he may have to sign. There are now historic investigations into every aspect of Trump’s political and business life: Trump’s campaign, transition, inauguration, administration, as well as his Trump organization and Trump Foundation. Trump will be mired in legal and political peril this year. The Mueller investigation will be a major thorn in Trump’s side through the end of his term and beyond. Special counsel Robert Mueller’s report will reveal some bombshells which will be very damaging politically to Donald Trump and others. The White House will be in a state of panic when it is released. We doubt his presidency will recover from the bombshells. Trump just lost 40 House seats in a blue wave election. President Trump is in growing danger of impeachment. Even if Trump is impeached (which we believe is likely), there is no guarantee that the Senate will support it. It is still within the realm of possibility that Trump could be offered a deal where he agrees to resign in exchange for immunity. He could also be criminally indicted when he leaves office. In any case, The Trump administration will continue to be embroiled in unrelenting controversies. Trump will continue to govern by decree like a monarch, causing chaos and global backlash. We are seeing more drama coming—many more indictments, and more shoes dropping on the Trump administration and family members, especially his children Don Jr. and Ivanka. There is a high probability that Michael Flynn, Trump’s former national security advisor, faces jail time in March. Revelations about the Trump money trail will be especially damning. Major upheaval is coming. The Mueller investigation is about collusion between the campaign, Trump and Russia. Trump’s lawyer Michael Cohen has provided credible information on that issue. This, along with campaign finance violations, will make or break Trump’s administration. This is a sweeping conspiracy by Putin and the Kremlin that involves the US President and his team. When history looks back, this will prove to be a bigger scandal than Watergate. As if that weren’t enough, the money laundering and tax fraud investigations into Donald Trump will expose shocking information. Putin’s disinformation campaign in the US becomes more and more over the top as Russia tries to influence the 2020 presidential election. (We were the first to predict Russian cyber interference many years ago on Beyond the Gate radio). We see increasing authoritarianism globally. Far right extremism will be in the headlines in the US and western Europe, which will continue to be terrorist targets. We predicted that there would be assassination plots on Trump in 2017 and 2018, and that they would be foiled. That did happen (including an ISIS plot to assassinate Trump that was foiled by the Secret Service during Trump’s visit to the Philippines). We see at least one more plot in 2019. We see big shakeups happening with tech giants Facebook, Apple and others. Facebook will have several more scandals for privacy abuses and security issues. We see several huge scandals with YouTube in the next two years. Advertisement – More predictions below. Stars reveal secrets from beyond the grave. The world’s most documented psychic mediums channel astonishing and heartfelt messages from our most beloved celebrities who died too young. What secrets do they reveal about their lives…and their mysterious deaths? 5 Star Review of our most recent book by C.T. on Amazon.com. You Can’t Fix Stupid but you can purchase a copy on Amazon by clicking right here. A lot of people may know The Psychic Twins courtesy of all the appearances and predictions they’ve made over the years. What people may not realize, though, is how funny they are. And that’s what makes this book so entertaining. It’s not a “prediction” book. It’s a lifestyle book, with the Twins tackling all kinds of quirky human behavior and offering advice on how to improve on it. Every step of the way, there’s a joke about stupid boyfriends or ignorant landlords or…well… just about anyone or anything that makes life the weird thing that it is. If you’re tired of psychics taking the idea of being psychic too seriously, but still want to hear what psychics have to say, then You Can’t Fix Stupid is your dream book. We have foreseen many of the major stock crashes and corrections since the 90s. As we have said for years, prediction isn’t an exact science. Nobody can predict with 100% accuracy. In our 2018 World Predictions, we predicted that the stock market would be volatile, with a correction toward the end of the year. The Dow Jones had its worst December in 100 years, and entered correction territory. On December 24 the Dow crashed to its lowest Christmas Eve in history. We see increasing volatility in the stock market, with extreme fluctuations globally. Get ready for some wild market swings in 2019. “Mini-crashes” will happen throughout the next two years, so keep an eye on your investments. There will be continued economic growth in 2019, but not as strong as 2018. We believe that a recession in the US is not likely to happen this year. China is already in a recession, which will impact world markets. However, the US economy will slow somewhat in the second half of 2019 and in 2020. There will be more trade wars with China, and a possible slowdown in GDP growth. We see housing prices increasing this year. We see homegrown and lone wolf plots in the US and around the world. Terror attacks will continue to happen around the world as ISIS has lost control of much of their caliphate, and as their areas of control are shrinking. These attacks are meant to cause fear and to keep people off balance. We are seeing more waves of terror attacks coming that are being plotted now. ISIS has access to chemical weapons and we see more chemical weapons attacks in coming years. Terror groups (and lone wolves inspired by them) will be focusing on markets, shopping centers, places of worship, schools, sporting events, hotels, and airports. Transport systems will be targeted as well. Be alert at concert venues, subways, and train stations. Low-level attacks by lone wolves, like the Boston Marathon bombing and the Orlando, Florida mass shooting, are still very threatening to US, so stay vigilant. (We did publicly predict the 9/11 events in New York, Boston, Las Vegas, Belgium, Paris, Orlando, London, Berlin, Nice, France and Barcelona terror attacks on several shows). There will unfortunately be more mass shootings and school shootings occurring across the US and in other countries. Psychic intelligence is what is needed more than ever now. If you see something, say something. Attacks and massacres are so common now, there are plots in almost every state. Airport plots are in progress. We see quite a few attacks being successful. Be alert for more terror attacks in the US, France, England, Germany, Australia, Russia, Egypt and Turkey. a vehicle-as-weapon attack, causing numerous casualties if not stopped. We see a holiday or Christmas plot now being planned. Other countries will be targeted, including the US and Europe (Germany, France, Belgium). These may not be foiled. We see primarily attacks involving knives, suicide bombs and guns. We are not ruling out bio-chemical plots, which may be occurring within the next few years. As you know, we predicted many of the biggest cyberattacks in history. We are seeing some massive data breaches that will be mind-boggling in scope, affecting tens of millions of people. We see more high-profile accusations of sexual misconduct and abuse in the coming years, especially within the media and the entertainment industry. The lies will continue to be exposed. Media and Hollywood heavyweights will fall and fall hard as ugly truths of their predatory behavior are revealed. We expect to see many more church scandals exposed, some of which will reveal dark secrets that were hidden for decades. Last year was one of the most deadly years for natural disasters in recorded history. This past year alone, natural disasters—from devastating hurricanes and typhoons to massive flooding—caused a record $378 billion worth of damage. The deadly California fires of 2018 were the biggest news story of the year. What’s next? Climate change will wreak havoc, and natural disasters will plague 2019 and 2020. Weather disasters will become more extreme, increasing in severity and frequency in the coming years. Annual fires have tripled in California since 1970. The last eight greatest destructive California fires have occurred since 2017. Let that sink in. Sadly, this is not going to get better anytime soon. Expect to see more intense, mass casualty wildfires in the western US, including California. We are also seeing increasing earthquake and volcanic activity around the globe, especially the Ring of Fire. Make sure you have earthquake emergency supplies and first-aid kits close by. Samsung will unveil its foldable smartphone this year, which will allow for a lot more innovation in the smartphone industry. Artificial intelligence will reshape society as we know it. The concept of AI is based on the idea of building machines capable of thinking, acting, and learning like humans. They will never be able to mimic human compassion, empathy and intuition, but they will become exponentially more skilled (and are already more ‘intelligent’ than humans). The goal of AI is to mimic human interaction to create a more personalized experience. We see artificial intelligence revolutionizing the banking business, factory jobs, home assistance, and education in the coming years. We will see a renewed focus on solutions for the threat of climate change. Renewable energy (such as solar and wind power) will be more and more widespread in the coming years as costs come down. Solar energy will become the energy of the future. Self-driving cars will be evolving in 2019, but we think it could be about 4 to 5 years before they are reliable for the mainstream consumer. There will be more accidents involving self-driving cars this year. Advancements in 3D printing – Bioprinting has the potential to be the next big thing in health care. Bioprinting can produce living tissue, bone, blood vessels and, potentially, whole organs for use in medical procedures, training and testing. Bioprinting of complex internal organs such as hearts, kidneys and livers, is still many years away, but some organs such as bladders are already possible. 3D printing is already showing great promise in the production of bones, joints and teeth. A 3D-printed vertebrae was implanted in a 12-year-old cancer patient’s spine in Beijing China. We also see 3D printing coming soon to the construction and homebuilding industry. With this tech, we will be able to make homes faster and cheaper. This will help so much in underdeveloped countries, where homes and shelters can be built onsite. Bionic limbs will be made to look more realistic, and cosmetically similar to human limbs. 3D printing will make great strides and become more affordable. Prosthetics will be very lifelike, down to skin color, veins, fingerprints and tattoos. It’s pretty trippy. It will one day be possible to control prosthetic limbs with thoughts. If you have survived the hell fires and hate storms of the last few years, you will no doubt withstand the craziness to come in 2019 and 2020. We believe that the current upheaval in our world is an opportunity to begin anew, to review our beliefs and attitudes, and develop a shift in perception. We as a culture are facing radical transformation… radical paradigm shifts in almost every aspect. It is smashing our way of being and shaking our foundation to the core. It seems like everything is falling apart. Old institutions and laws we came to believe as solid in the past are now in a state of total breakdown. What was up is down. Violence and hatred are becoming normalized. Opinions and lies are replacing real factual reporting. We can’t continue to ignore what we need to do. But we always try to see a silver lining in the chaos. Rebirth is possible. The seeds of revolution are being awakened to a realization of what can emerge from the ashes of destruction and profound loss. This is a critical juncture in history for humans. The ecological crisis and depletion of resources globally is forcing us toward a new way of being. It is up to each of us to take responsibility and do our part—however small—to heal the planet. Painful challenges serve as a wake-up call to appreciate that we have more courage and compassion than we thought. We can choose to unite with others in a powerful wave of action to create positive—even revolutionary—change in our world. Side note: Throughout the year, there will be a total of five eclipses worldwide. In January, we will see three rare lunar events including a Super Blood Moon. Thanks for your support over the years. We hope to be making lots of new videos this year and more predictions, so make sure you subscribe to our YouTube channel “The Psychic Twins.” We love you guys. Let’s blaze a new spiritual superhighway in 2019 and 2020!